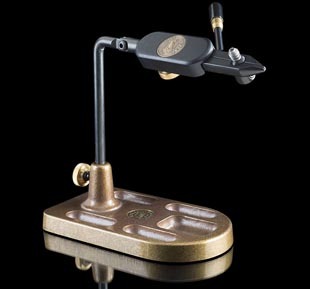 This is the vise of choice among our professional fly tyers, including each of us here at the store. In addition to the 360 degree rotation, the head is uniquely designed to enable it to pivot 220 degrees. We have yet to find a more rugged or functional vise than the Regal. 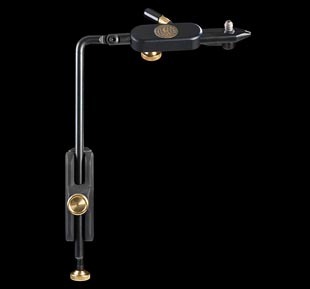 The same great features as the standard vice, but with a heavy bronze base for extra stability and portablity. 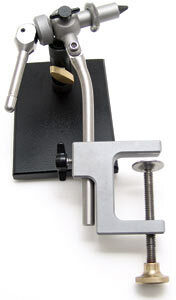 The REGAL INEX VISE combines simplicity and function in a vise that embodies rustic elegance. 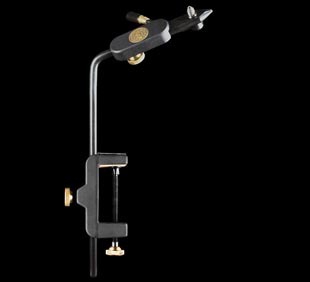 The INEX VISE features the same versatile, powerful gripping head design and materials that made REGAL the industry leader.The INEX now features a Standard Medallion Head allowing you to rotate the head 360° to inspect the other side of the fly. This draw collet design vise is a good value for the beginner. 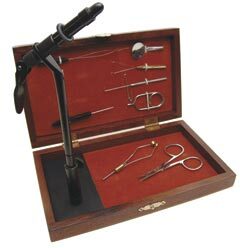 With AA pedestal travel vise, all the tools and a mahogany case.